I like the patchwork design. 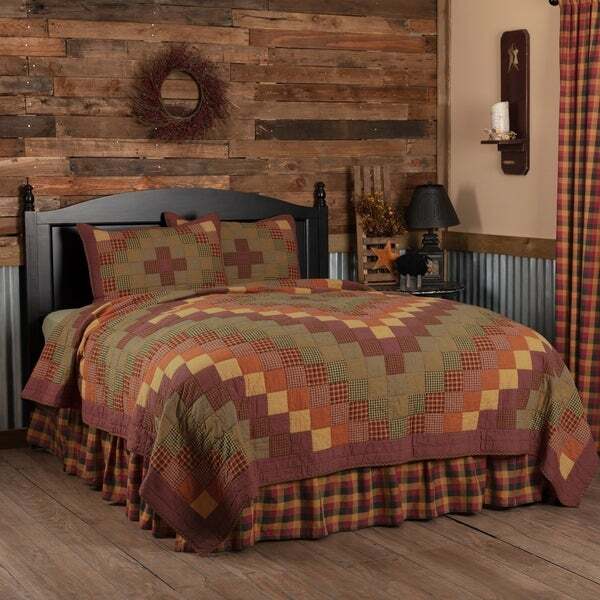 I had seen this same quilt on other sites and the price was very expensive, just for the quilt, shams sold separately, also very expensive. I could not afford to purchase . Overstock.com price was so much cheaper. I was able to purchase the quilt set for Less than what I would have paid just for the quilt on the other sites, plus the free shipping.